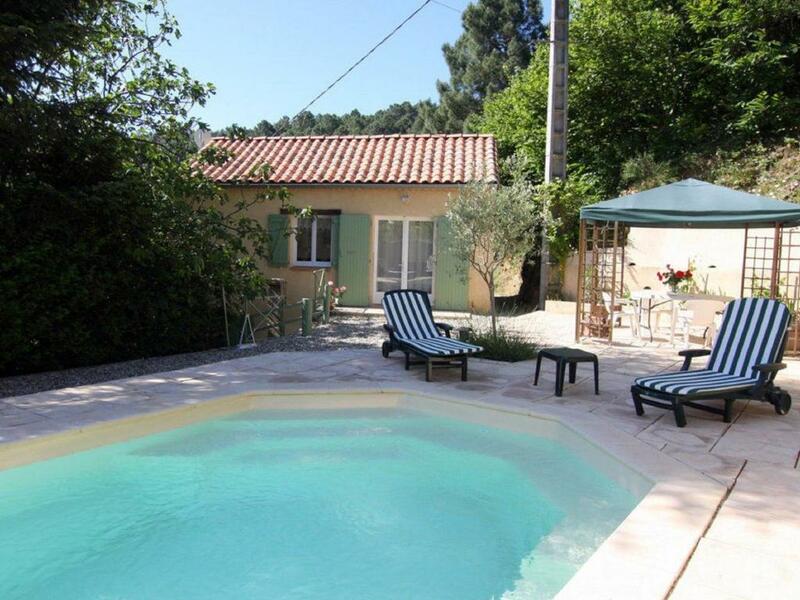 Villa Tara is located in Les Salles-du-Gardon and offers barbecue facilities. Guests might go for a swim in the outdoor pool. The vacation home has a TV, a well-equipped kitchen with a dishwasher and a bathroom with a shower. Tara Les Salles Du Gardon has a terrace. Guests can also relax in the garden. Uzès is 30 miles from the accommodation, while Alès is 11 miles away. Garons Airport is 45 miles from the property. When would you like to stay at Villa Tara? This holiday home has a barbecue, dishwasher and washing machine. La Terrisse, little hamlet of the village of "Salles du Gardon", located 14 km far from Alès in the very middle of the Cévennes. Your holiday house, entirely restored, will welcome you for nature holidays made of peace, hikes and fresh air. You are going to be provided with a pleasant change of scenery! Your house is located in the hamlet that only has some houses. The ground, half sloping, offers a flat part in front of the house where was built the swimming pool. Charming! This house will fit to those who aspire to a comeback to nature, in a remarkable environment. Perfect for those who love hiking. House Rules Villa Tara takes special requests – add in the next step! Villa Tara accepts these cards and reserves the right to temporarily hold an amount prior to arrival. We need at least 5 reviews before we can calculate a review score. If you book and review your stay, you can help Villa Tara meet this goal.